Fairfield Union defeated Hillsboro in sectional tournament play 25-19, 25-15, 25-14. Hayden Hartman had 6 kills on only 11 attempts to pace the Falcon offense. While Morgan Hartman had 23 points serving, including 5 aces. With the win the Falcon volleyball team advances to play at Logan Elm on Wednesday at 6:00pm. The 8th grade volleyball team concluded there season this past week during the MSL tournament by defeating Teays Valley West and Bloom Carroll to make it to the Championship Game. The team fell short with scores of 25-14; 20-25; 13-25 to Liberty Union. The team ended their regular season 11-5 and finished 13-6 overall. Fairfield Union defeated Liberty Union 24-26, 20-25, 28-26, 25-17, 15-10. The Falcon offense was led by Morgan Hartman with 14 kills and 6 aces. Defensively Mailyn Sunkle recorded 14 digs for the match. The win takes the Falcons to 4-15 overall and 3-9 in the Mid-State League. The 8th grade volleyball team concluded their regular season with a record of 11-5 with a win over Circleville with scores of 25-7; 22-25; 25-23. High servers were Olivia Mahler with 14 points and Rachel Mason with 13. Danae Pickens added 9 kills and Madelynn Wagner had 7. McKaylee Webb had 18 assists. The 8th grade volleyball team defeated Liberty during their last home game of the season with scores of 25-17 and 25-23. Olivia Spillers led the team with 9 serving points . Danae Pickens had 8 kills and Olivia Spillers added 6. McKaylee Webb had 10 assists. 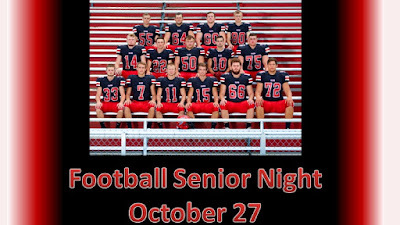 The team is not 10-5 and finishes regular season play on Thursday at Circleville. The 7th Grade Lady Falcons Volleyball Team defeated Liberty Union by scores of 25-15 and 25-22. Leading scorers for the Falcons were Caelie Bell with 9 points, Morgan Wolfe, Claire Cooperider, and Miranda Walton adding 5 points each. The 8th grade volleyball team defeated Hamilton Township on Saturday with scores of 25-14 and 25-9. High servers were Olivia Spillers with 11 points, Olivia Mahler with 9 points, and Rachel Mason with 8. Danae Pickens added 3 kills and Madelynn Wagner had 2. The team is 9-5 for the season. 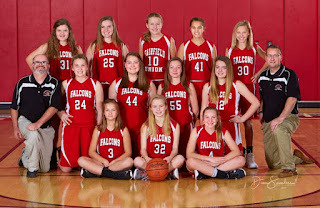 The 7th Grade Lady Falcons Volleyball team defeated Hamilton Township by scores of 25-11 and 25-10. Leading scorers for the Falcons were Caelie Bell with 14 points, Morgan Wolfe with 10 points, and Miranda Walton with 5 points. Hamilton Township defeated Fairfield Union 25-13, 25-15, 25-9. Hayden Hartman led the Falcon offense with 6 kills and 2 aces. Morgan Hartman led the defense with 4 digs. The 8th grade volleyball team defeated Teays Valley East with scores of 25-23; 15-25; 25-18. Higher servers were Olivia Spillers and Danae Pickens each with 8 points and Rachel Masson added 7. Danae Pickens had 12 kills, Oliva Spillers had 7, and Olivia Mahler added 4. McKaylee Webb had 21 assists. The 7th Grade Lady Falcons Volleyball team defeated Teays Valley East by scores of 7-25, 25-18, and 25-23. Leading scorers for the Falcons were Morgan Wolfe with 10 points, Miranda Walton with 7 points, Caelie Bell with 6 points, and Myah Messbarger adding 5 points for the win. The 7th Grade team is now 11-2. The 8th grade team defeated Logan Elm on Saturday with scores of 25-21 and 25-16. High servers were Danae Pickens, McKaylee Webb, and Olivia Spillers. Danae Pickens and Madelynn Wagner each added 3 kills. The team is now 7-5 overall. The 7th Grade Lady Falcons Volleyball team defeated Logan Elm by scores of 25-22 and 25-21. Leading scorers for the Falcons were Claire Cooperider with 8 points and Myah Messbarger with 8 points. After being down 2 sets to none that varsity volleyball team stormed back to win the next three games to defeat Bloom Carroll 3-2. It was a great team victory! The 8th grade volleyball team defeated Amanda Clearcreek with scores of 25-12 and 25-9. High servers were Olivia Spillers with 10 points with 7 aces and Rachel Mason with 7 points. Danae Pickens added 6 kills and McKaylee Webb had 10 assists. The 7th Grade Lady Falcons Volleyball Team defeated Amanda Clearcreek by scores of 25-22 and 25-14. Leading scorers for the Falcons were Claire Cooperider with 11 points, Miranda Walton with 10 points and Tori Lenhart with 7 points. The volleyball program would like to thank the FCCLA, Athletic Boosters and all the students and staff for helping to make this positive event for the fight against cancer a success. The 8th grade volleyball team lost to Bloom Carroll with scores of 14-25; 26-24; 14-25. High server was Rachel Mason with 9 points. Danae Pickens had 7 kills and McKaylee Webb had 12 assists. 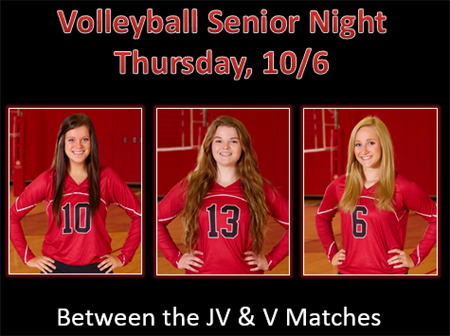 Fairfield Union Varsity Volleyball defeated Washington Courthouse 3-1. 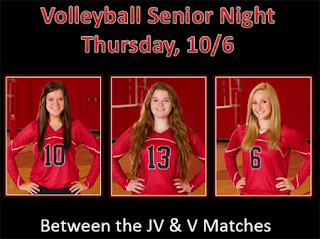 Offensively the Falcons were led by Katherine Qualls with 12 kills and Joey Burke pitched in 8 kills. Defensively Burke also chipped in four blocks and Mailyn Sunkle chipped in 18 digs for the Falcons. The 8th grade volleyball team defeated Teays Valley West on Saturday with scores of 25-18 and 25-20. High servers were McKaylee Webb and Alaina Berkfield each with 9 points. Alaina Berkfield was 6 for 9 on serve receive. Danae Pickens added 8 kills and Olivia Spillers had 6. The team is now 4-4 overall. The 8th grade volleyball team defeated Circleville by scores of 23-25; 25-23; 25-11. High servers were Olivia Spillers with 13 points and Alaina Berkfield with 8. Danae Pickens had 10 kills and Oliva Spillers added 6. McKaylee Webb added 10 asissts. The team is now 3-5 for the season. Fairfield Union defeated Liberty Union 3-1. The Falcons offensive leaders were Rylee Barr with 14 assists and Vada Young with 8 kills. Defensively Morgan Hartman had 11 digs and Braidyn Reed had 4 block assists. 8th grade volleyball team lost to Liberty Union with scores of 22-25 and 18-25. Alaina Berkfield was high server with 10 points. Olivia Spillers led the team in kills and McKaylee Webb led in assists. The 8th grade volleyball team defeated Hamilton Township on Saturday with scores of 25-12 and 25-8. Alaina Berkfield was high server with 12 points including 6 Aces. Danae Pickens added 8 kills and McKaylee Webb had 7 assists. The team is now 3-3 overall. The 8th grade volleyball team fell to Teays Valley East with scores 25-17; 11-25;14-25. High servers were Olivia Spillers and Danae Pickens. McKaylee Webb had 9 assists and Danae Pickens added 7 kills. The 8th Grade Volleyball Team defeated Logan Elm with scores of 25-12 and 25-7. Danae Pickens led the team in serving with 13 points and Madelynn Wagner had 12. Oliva Spillers had 5 kills and McKaylee Webb added 7 assists. The team is now 2-2 for the season. The 8th grade volleyball team defeated Amanda Clearcreek with scores of 25-12 and 25-9. High servers were Olivia Spillers with 11 points and Alaina Berkfield with 10. McKaylee Webb had 5 assists and Danae Pickens led the team’s net play with 7 kills. The team is 1-2 overall. The 8th grade volleyball team lost to Bloom Carroll with scores of 23-25 and 22-25. Rachel Mason led in serving with 11 points; Danae Pickens had 7 kills; and Olivia Spillers and McKaylee Webb combined for 12 assists. The team is 0-2 for the season. Olivia Spillers was high server with 20 points. Danae Pickens added 6 kills and Olivia Mahler had 3 kills. Rachel Mason and Alaina Berkfield were consistent on serve receive and defense for the Falcons.